The New England Conservatory of Music, M.A., Jazz Studies, 1992. University of Virginia, Charlottesville, B.A., International Relations & Music, 1988. Dean's List. The New England Conservatory of Music, Boston, MA. advised college bound students on music programs and careers. 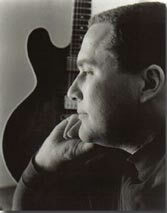 Teach improvisation, guitar, and life skills to children, teenagers, and adults. Recording Artist, Brownstone Recordings and Whirlybird Records, 1994-present. and Afterimage, and East RiverView.